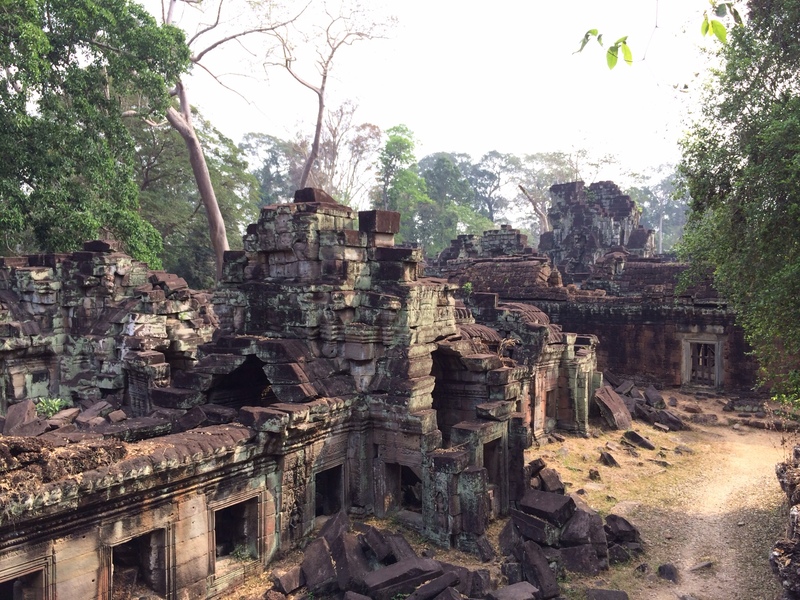 We will be taking a little break from posting about Japan, as we have taken a week off to visit Cambodia and Thailand. Lucas & Carol came from São Paulo last week to visit Singapore, and we planned a little trip with them! 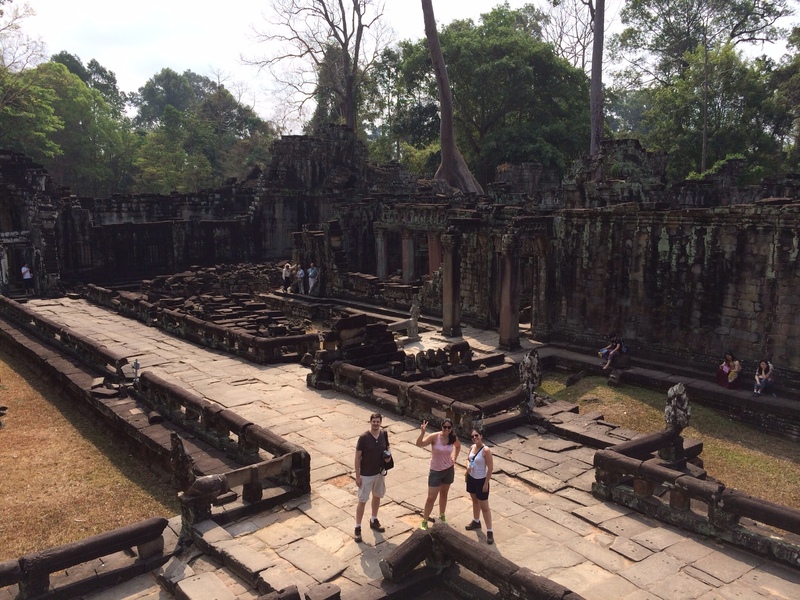 They took a few days in Chang Mai (we will ask for a guest post about it later!) and then we caught up with them in Siem Reap, Cambodia. This is an amazing city, with some of the most beautiful ruins we have ever seen! 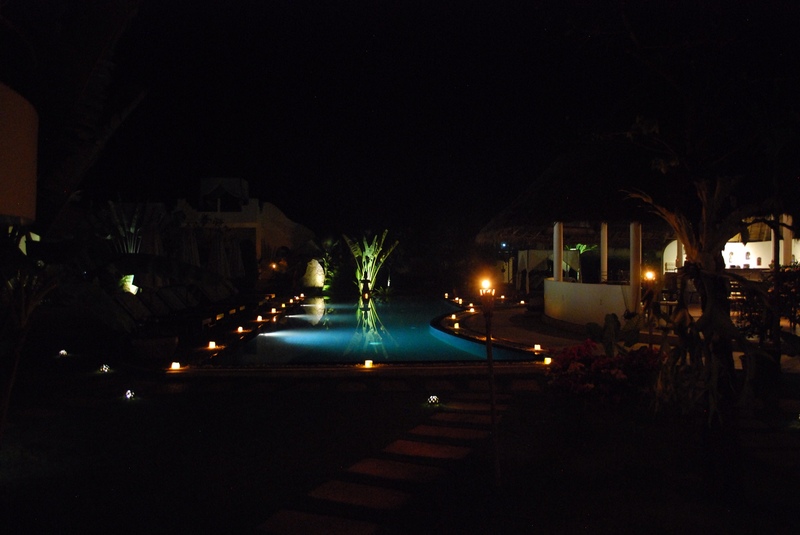 It all started with us arriving into our hotel, Navutu Dreams, which was absolutely beautiful. The hotel is quite simple in its decor, but everything is impeccable and well designed, service is fantastic, the pool area beautiful and the food delicious. We can really recommend this small hotel! 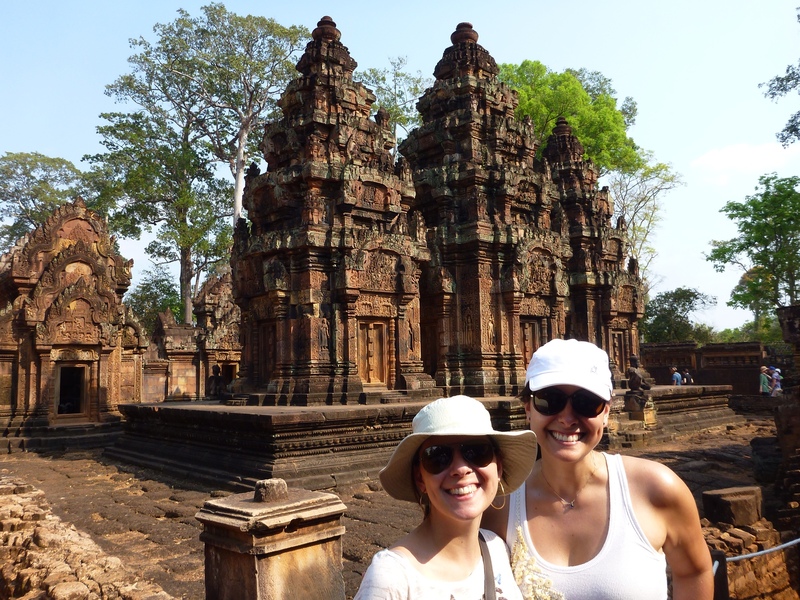 Once settled in, we embarked on our Cambodian archeological site tour. 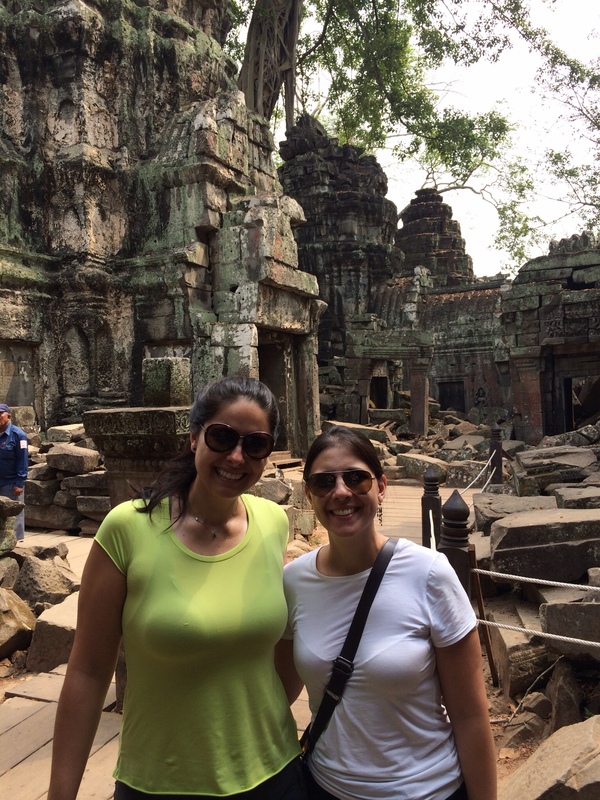 Siem reap is a great place for touring different sites, as they are all basically in the same area, within 30-40 minutes, so it makes it easy to go around and see many sites! There are probably 30 or more temples in the area! It's a city that is easy to do on your own by TukTuk, but we booked a private tour, which made things quite easy, and got quite a few interesting explanations, as well as a glimpse into how people live and work. Air condition between temples also helped the journey. This is a beautiful pink temple, which is different to all the others, highly recommended! This is The Big One. Probably the most popular of them all, and it's absolutely beautiful! We got up at 5 AM to catch the sunrise behind the temple, and it did not disappoint. We returned later in the afternoon to see the inside and Lucas went to see the sunset. Lucas thinks that the sunset was the best time to visit the temple and take pictures. 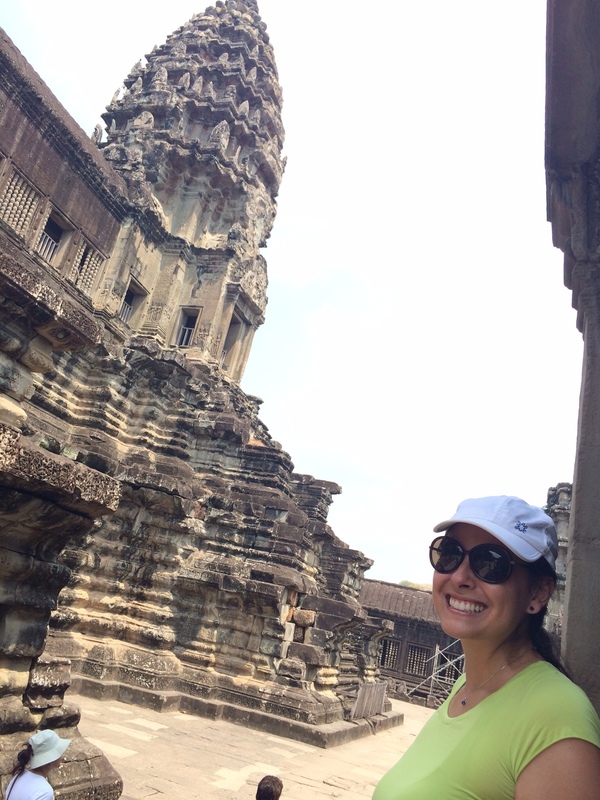 This is a massive complex with many different temples and buildings inside. It is truly amazing! One of the key highlights are all of the spires with Buddha's face in the four cardinal directions, overlooking everything. 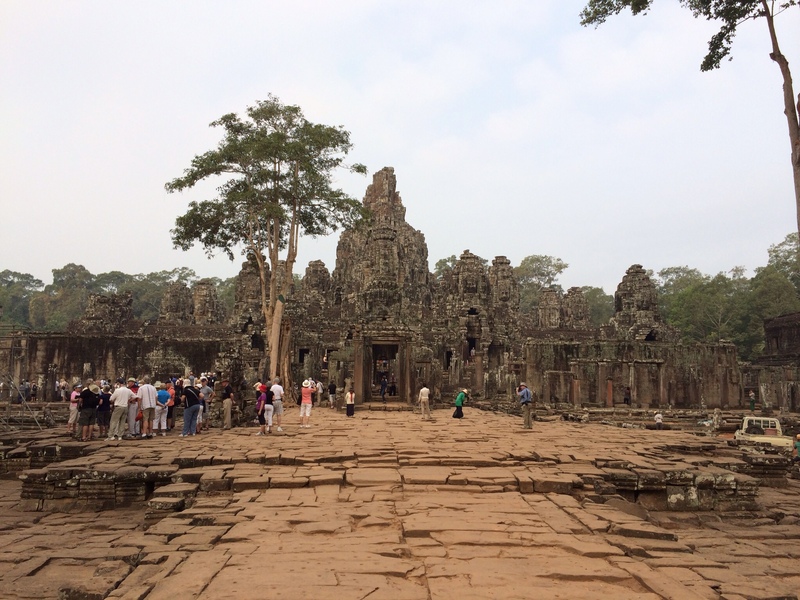 Inside Angkor Thom, the central palace is called Bayon… Not to be missed. It's amazing how there is a deep mixture of Hindu and Buddhist construction and beliefs everywhere, it's fascinating. A good walk around this area is really interesting. 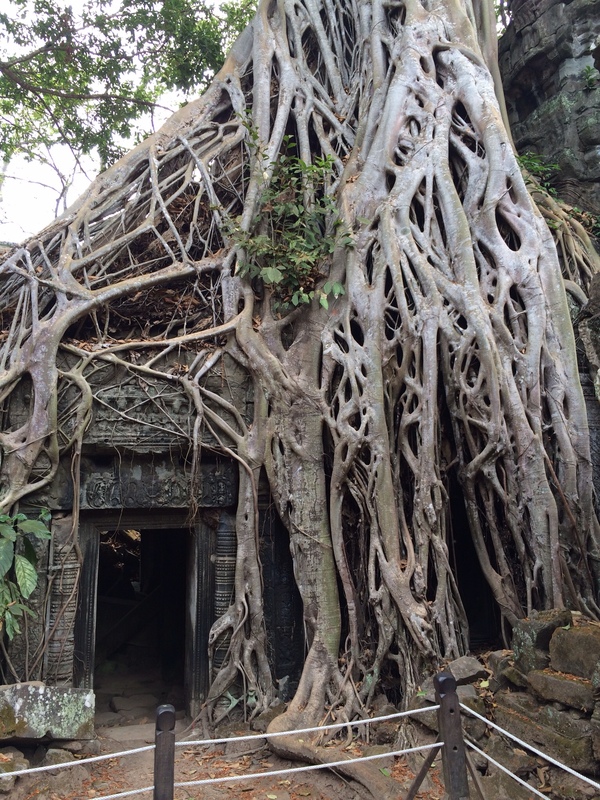 This temple was built in honor of king Jayavarman VII father. It is also the place where his sword was kept. This was really nice as it had various concentric walls, and you kept going past many doorways until you got to the centre. It was something like 36 doors to the centre, and another 36 to the back. This was the last temple we visited and it is quite different, as it is made of brick instead of stone. You can walk to the top and have a nice view of the wilderness around. Haven: nice food and a good cause as well! Cuisine Wat Damnak: delicious restaurant with a 5-6 course meal. Asana: Nice bar in a typical Cambodian house, near pub street. Mie cafe: another nice local food place. 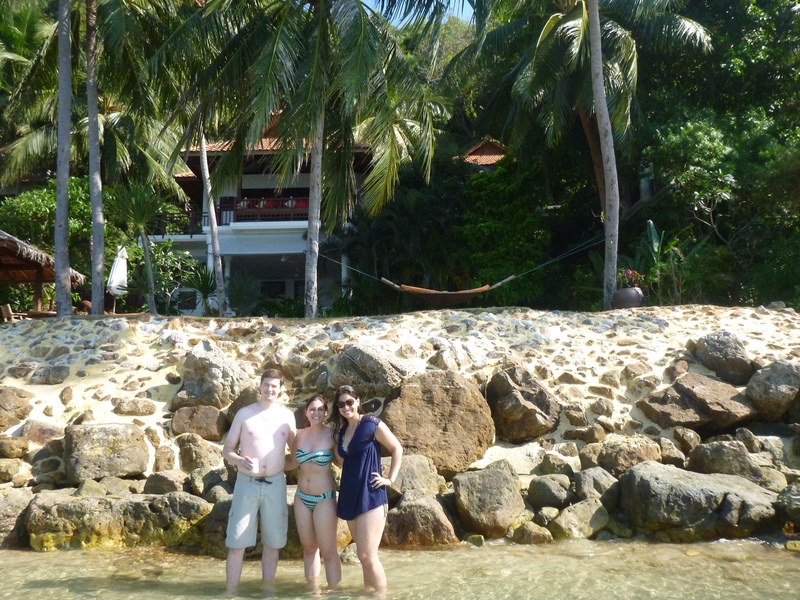 After our Cambodia adventures, we took a flight over to Koh Samui, an island in Thailand. The town seems quite chaotic and not very pretty, but the hotel we are at is unbelievable (Napasai)! The residence we are staying at is really beautiful, with a private pool and incredible rooms. Seriously, we can not under estimate the amazing hotel this is… It is THE place to stay, although it is a bit on the pricey side! 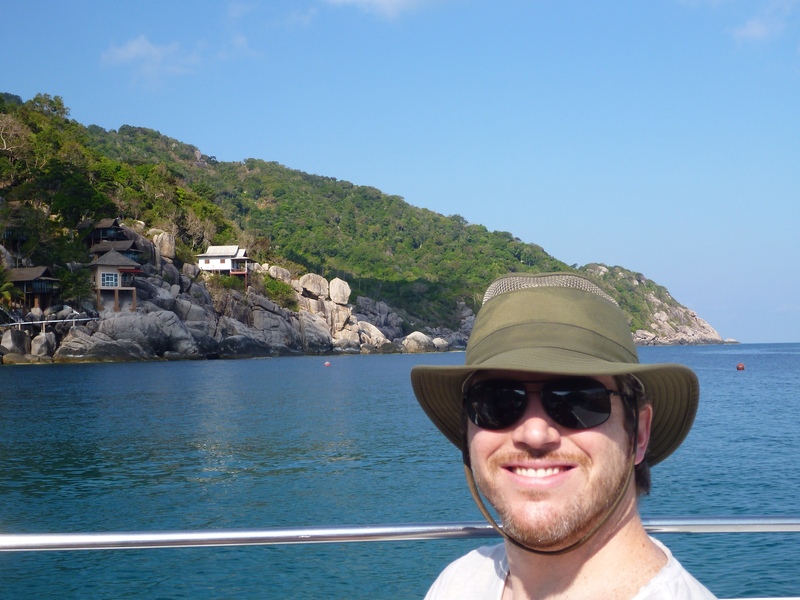 Here, we went snorkeling yesterday in a nearby island, Koh Tao. We booked with a really nice company called 100 degrees east. 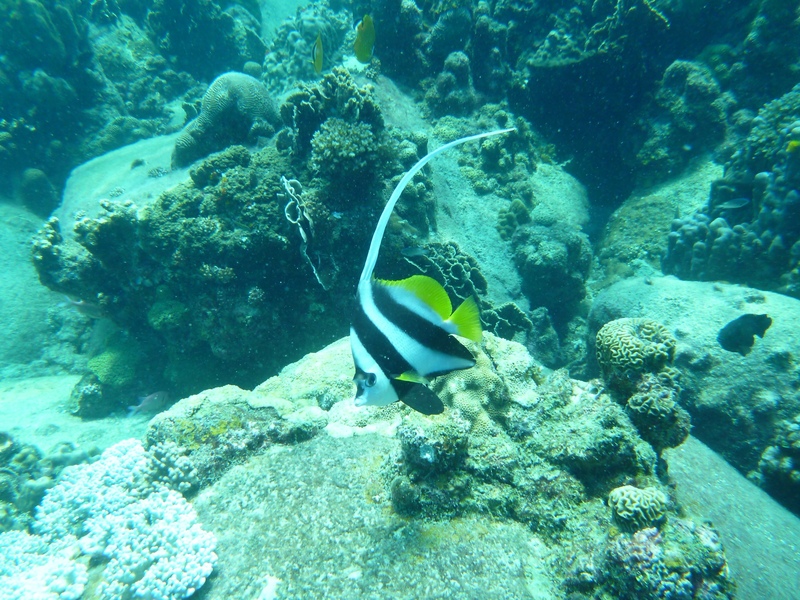 They took us to 2 very nice diving spots, and showed us a lot of marine wildlife, even a reef shark! The guys at 100 degrees were very friendly and helpful. We went for dinner to the Six senses hotel, in a restaurants called On The Rocks as part of the 2014 Samui Fine Dining Festival. The place was beautiful! We want to come back and,stay there, as it is in a different part of the island, set on a rocky outcrop, with amazing views. The dinner was one of the best ones we have had… Absolutely unique and delicious. Definitely must come back. Only watch out, if you go, make sure to make it before sunset, as it's beautiful! ← Koya San – Beautiful mountain town!